The Best of Oz Intro’s Port Stephens Weekend! On the ride up to Port Stephens, you’ll stop in Umina for a totally rad surf session. 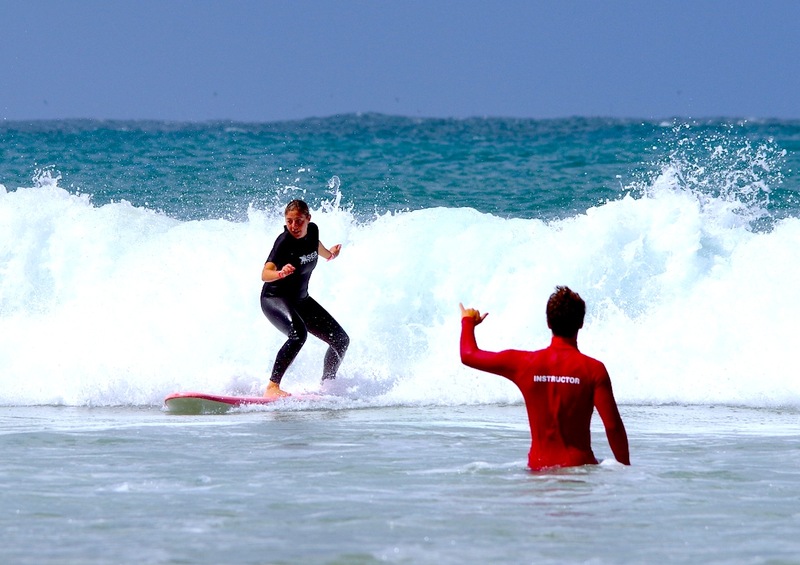 You’ll get one-on-one surf instruction from awesome surfers, wet suits, sunscreen, and everything you need to start your journey to becoming a lifelong surfer. Throw up a shaka at your mates as you cruise by shredding up the surf. Next stop on the ride up – wild kangaroos. 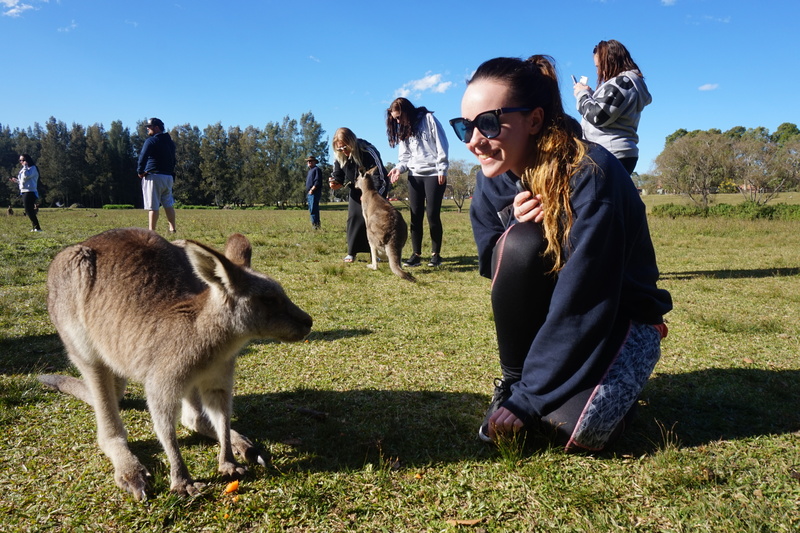 Seeing Kangaroos is on everyone’s bucket list, but OzIntro will do you one better; you’ll get to hop out to feed and pet dozens of wild kangaroos. You’ll see adorable baby kangaroos in their mama’s pouch and ripped giants up to 2 meters tall. 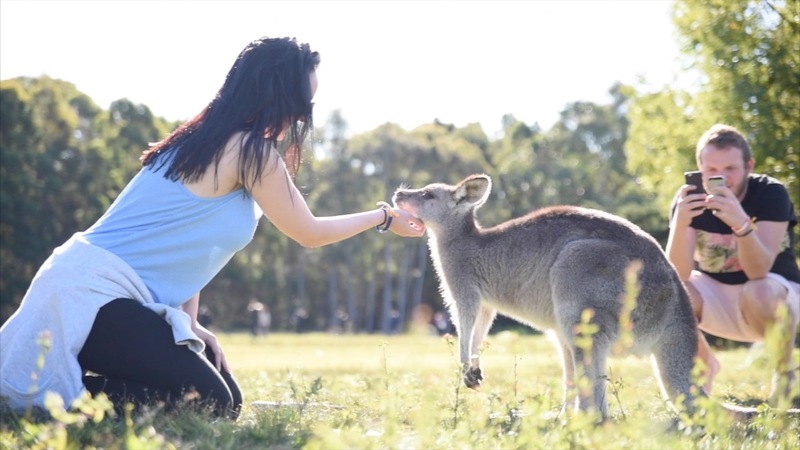 The kangaroos are super friendly and they love it when you rub their belly. 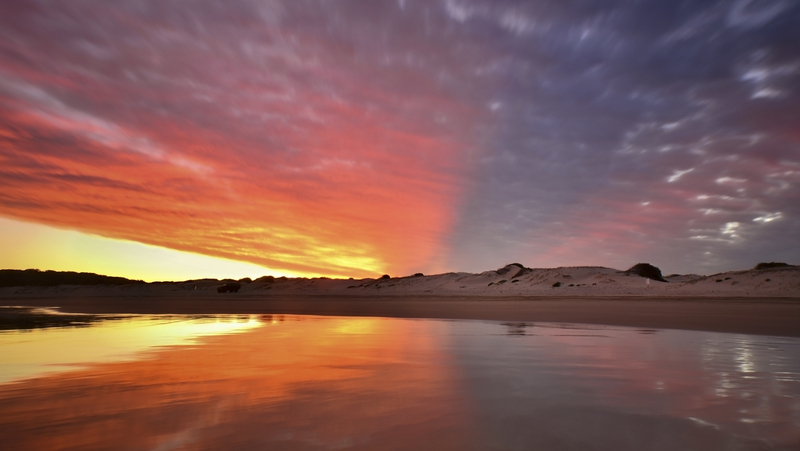 After a quick stop at the bottle-o (bottle shop), you’ll head out to the dunes where you’ll see the sunset of a lifetime. To complete the Instagram, you’ll also get to see camels chilling on the dunes. Australia really does have it all! At night, you’ll stay at Melaleuca Surfside Backpackers Hostel, which is a convenient 5 minute walk from the beach. 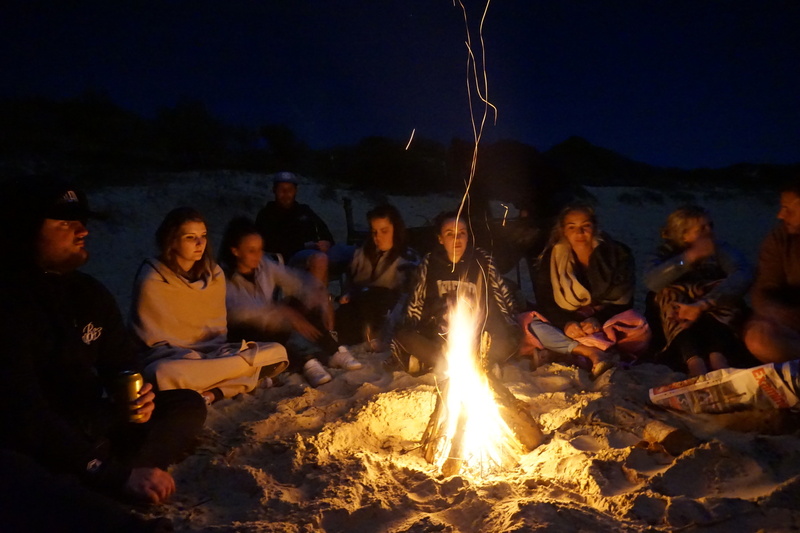 We’ll feast on an all you can eat BBQ, play some heated games of flip cup then walk down to the beach for a bonfire under the stars. Saturday morning you’ll load into some army style, all terrain trucks and take an off road drive into the biggest sand dune formation in the southern hemisphere. After a short ride, you’ll get to the edge of a MASSIVE sand dune. We’ll hand you your board and you’re all set. 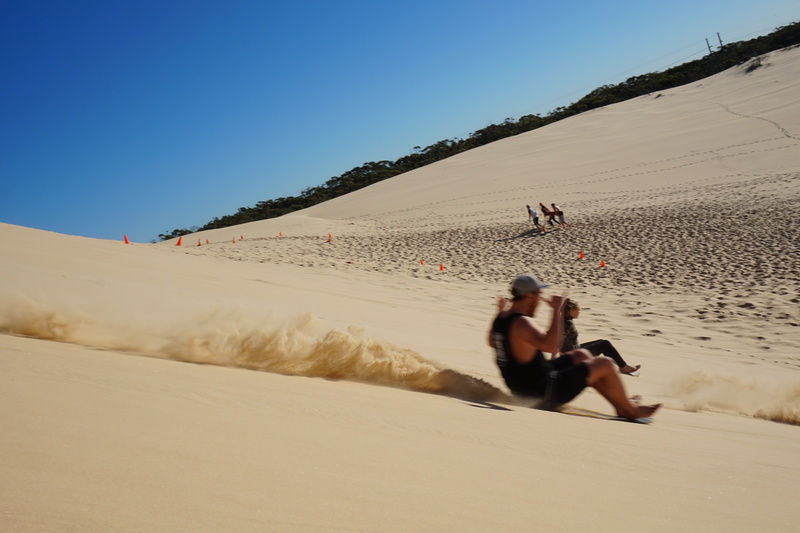 Flying down the dune you’ll reach speeds over 40 kilometers per hour! After lunch and a quick shower, we’ll head out to the water for an epic dolphin cruise. You’ll see dozens of dolphins riding along next to the boat. 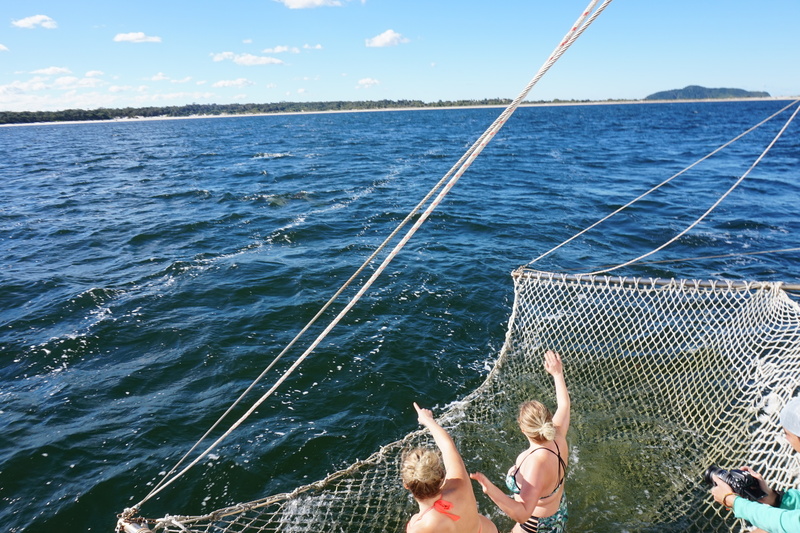 Bring your bathing suit to hop in the boats in-water hammock for the ultimate dolphin experience. The last stop on the weekend is a hike up to Tomaree Lookout. 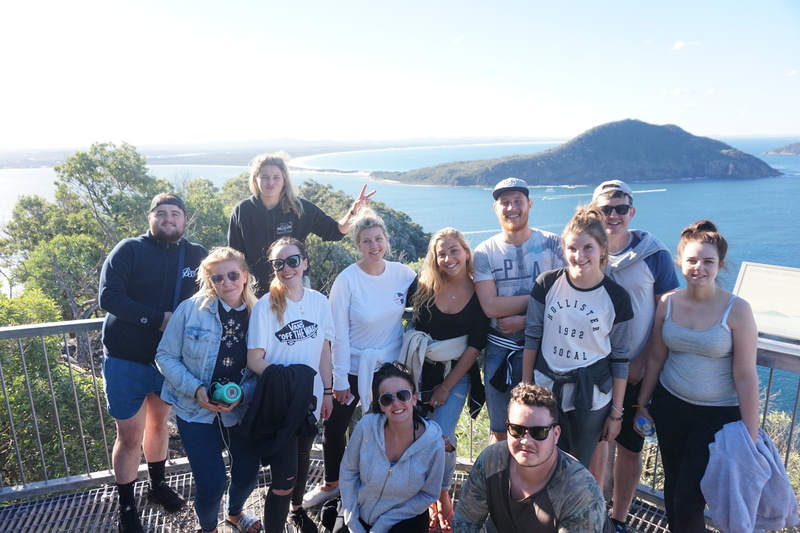 It’s the tallest point in Port Stephens and the views are absolutely incredible! Looking out, you may even spot a whale or two splashing in the water. It’s an awesome photo spot and the perfect end to a fantastic weekend. Check out the rest of the OzIntro itinerary here!